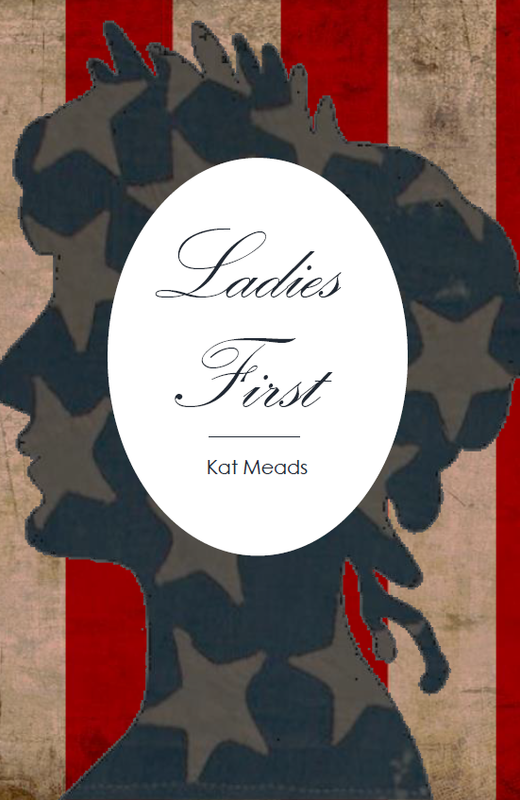 It’s also a good time to check in with master of many genres Kat Meads, who contributed “Leaving the House” to Broad Street’s “Maps & Legends” issue. 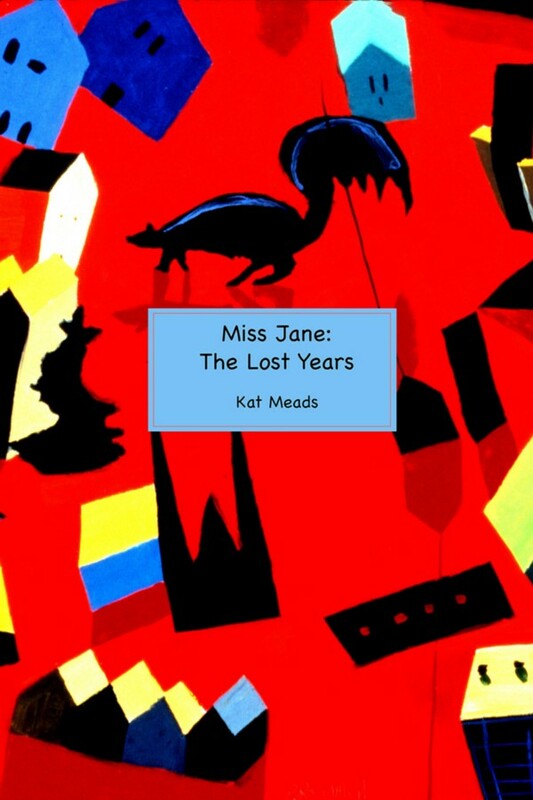 She has just published a new book, Miss Jane: The Lost Years, which combines women’s studies, academic interrogation, and fiction in a way especially relevant in light of the Title IX cases making headlines. 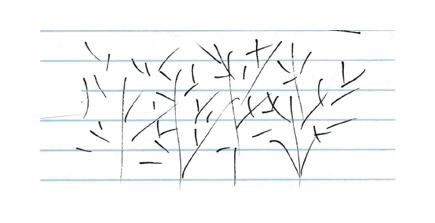 In an email interview in August 2018, Susann Cokal asked Kat what makes a work hybrid, how to fit disparate styles into one work, and how to reach a reader through something as common as place. And be sure to read our first interview with Kat. Broad Street: Perhaps we should start by updating a question we’ve asked before, one we ask all our subjects: What do you think “truth” means these days, especially for a writer? 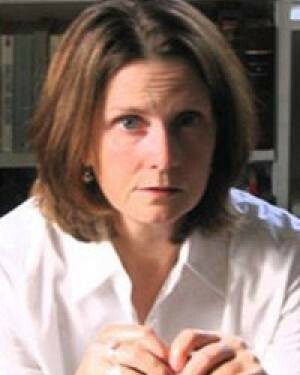 Kat Meads: For the world at large at this point in history, god knows. 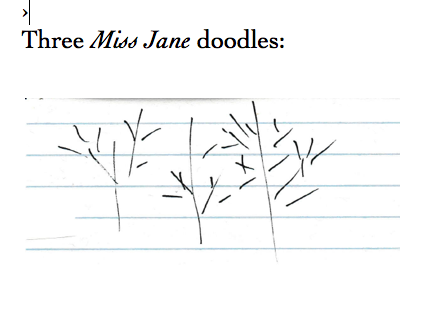 Kat’s latest book, “Miss Jane: The Lost Years,” features some of Kat’s own doodles. In my writing, I try to make myself stick with projects that turn into something much more complex and messy and difficult than I’d initially supposed them to be. I find truth to be a layered and elusive thing, something that has to be hunted down and shaken from the tree, so to speak. There haven’t been many, but on the rare occasions when I feel as if my writing is zipping along at a particularly accelerated pace — no hesitations, no “obstructions” whatsoever — I get suspicious. I don’t mean that writing has to be — or should be — laborious and hard. But self to self, I’ve learned to recognize signs of what I call my own “surface cruising.” And almost always, for me, in those cases, the surface cruising is in some fashion related to my not being completely honest with myself in terms of the material. What is the most difficult part of writing truth for you? Craft-wise, the challenge of writing truth presents the same challenge as any writing: How best to shape the material. How to come up with a narrative that, whether based on factual truth or the emotional truth of memory, hits upon a means of expression that is convincing and compelling to someone beyond ourselves. When I first started writing, the prime difficulty was having the guts to put my take out there on the page and afterwards to stand by that take, whatever the fallout. I see that same fear operating in some of my students. But they get over it. The more they write, the less they’re ruled by that uneasiness. How does, say, a lyrical essay such as “Leaving the House” (which you published with us) convey a truth that might be different from what you put forth in your latest book, Miss Jane: The Lost Years? My opinion is probably not the most reliable one when it comes to assessing differences in my own work. But I’d say “Leaving the House,” like most lyrical essays, relies more heavily on imagery and description in its methods. In my new fiction, Miss Jane: The Lost Years, I’d guess the reader’s connection, if there is one, derives more from the story itself — the college gal and the professor — and the choice of narration (a feisty, feminist chorus). But I could be all wet. You’re known for hybrid forms … and hybridity is, of course, hard to define. However, I’m going to ask you to define it, at least as regards your own work. I’ll ask a few questions, then. For example — How do you decide on a form for your work? Does the form find you, or do you interrogate it somehow, hold lengthy conversations with yourself and your subject to find what it needs? Ummm, well … I sometimes find the form, the form sometimes finds me, and sometimes it seems we bump into each other in a dark wood and proceed from there. In general, though, I’m a pretty restless gal. After a novel, I like to go elsewhere — a short play or essay or whatnot. I’m also fond of variety within longer works. The stand-alone interviews of women radicals conducted by History in For You, Madam Lenin, for instance. Or the campfire stories in Sleep. Mix-and-match stuff like that. 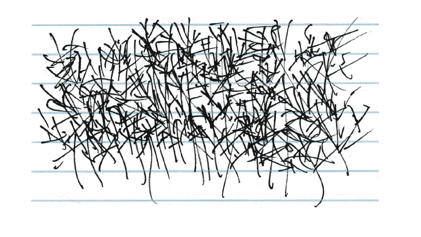 In Miss Jane: The Lost Years, as you saw, I included several doodles — a first for me and great fun. A friend told me someone has posted one of those doodles on Instagram, which is way cool. We’re featuring some of your doodles here — we think they’re way cool, too! Number two in the series of three Miss Jane doodles. Some emerging writers will want to know about the market for hybrids and how you established yourself there. Do you have any pointers? Oh, I think this is a terrific time to be writing and submitting work that blurs boundaries and genres. Submittable’s Discover, New Pages, and other sites regularly list calls for hybrid submissions. One of my favorite non-classifying classifications is Hotel Amerika’s “indeterminate prose.” I just adore that term. Your writing about place is among the best I know, and place is one of the key elements of creating a truth recognizable to readers, whether of nonfiction, poetry, or fiction, or some combination thereof. Do you have some tricks and techniques you can recommend for writers who need to establish a sense of place in their work? Thanks very much for saying that. I do quite a bit of “mapping” in terms of floor plans, town layouts, and such for stories and novels — sometimes even for essays. Before I drafted the piece on Nevada’s atomic test site collected in 2:12 a.m., I sketched out the tour route, including what I saw where, as a memory aid. Place details in terms of social setting and customs in my Southern-based work — a lot of that is just hardwired. My memory also tends to prioritize the spatial. I invariably remember where everyone was seated during a meeting and far, far less about what was said. It’s not an advantage by any means, but that kind of visual orientation seems to be part of my equipment. One more hybrid comment: I’ve heard a lot of people say that writing cross-genre pieces helped them to uncover what they defined, after the fact, as a truer version of their writing voice. I think there’s something to that theory. Thanks for talking with me, Kat, and congratulations on yet another wonderful book! A third Miss Jane doodle. 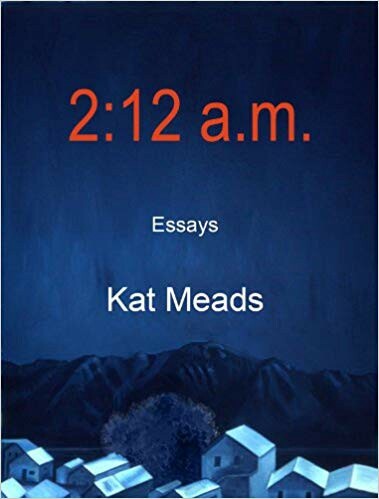 A native of eastern North Carolina, Kat Meads is the author of For You, Madam Lenin; Sleep; In This Season of Rage and Melancholy Such Irrevocable Acts as These; 2:12 a.m.; Born Southern and Restless, and over a dozen other books of prose and poetry. Her short plays have been staged in LA, NYC, Berkeley, and elsewhere, and her work has garnered praise from the likes of Kelly Cherry, Allison Amend, Valerie Miner, and Lee Gutkind. Previous postShare This Poem: "Flask," by Ellen Stone. Next postOnline Exclusive: Parsing “The Big Sleep." Three writer-editors annotate the classic noir novel.